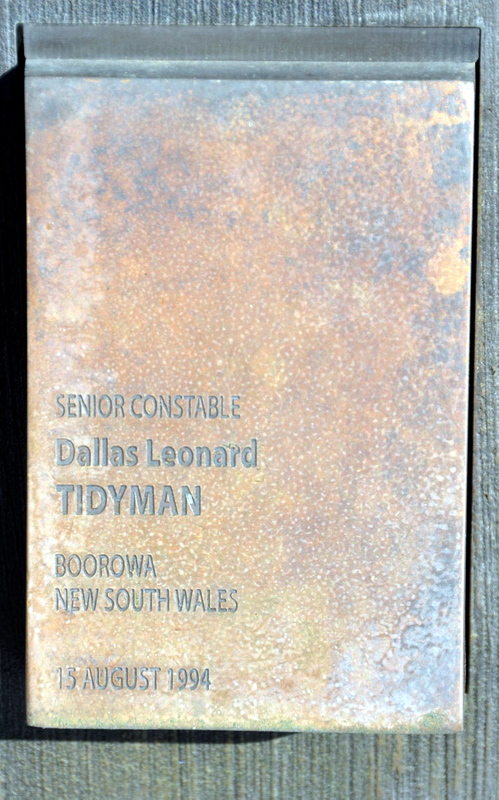 IN LOVING MEMORY OF SENIOR CONSTABLE DALLAS TIDYMAN. 24.8.57. – 15.8.94. TRAGICALLY KILLED WHILST ON DUTY. A TRIBUTE FROM HIS WORK MATES. Dallas TIDYMAN – in July 1994. Always in for a laugh. 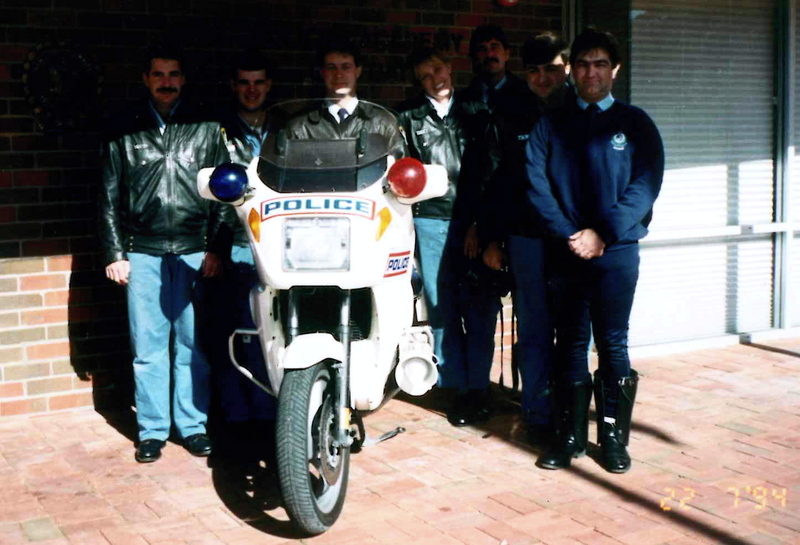 At 2.30pm on 15 August, 1994 Senior Constable Tidyman, a senior motor cycle instructor, was riding at the rear of a column of trainee police cyclists. While travelling along the Lachlan Valley Way, Boorowa he was struck by an oncoming vehicle and fatally injured. The offending driver had apparently lost control of the vehicle before veering across the roadway and colliding with Senior Constable Tidyman’s cycle. 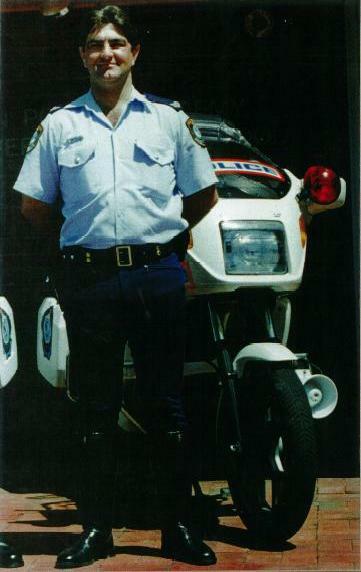 The constable was born in 1957 and joined the New South Wales Police Force on 8 December, 1980. 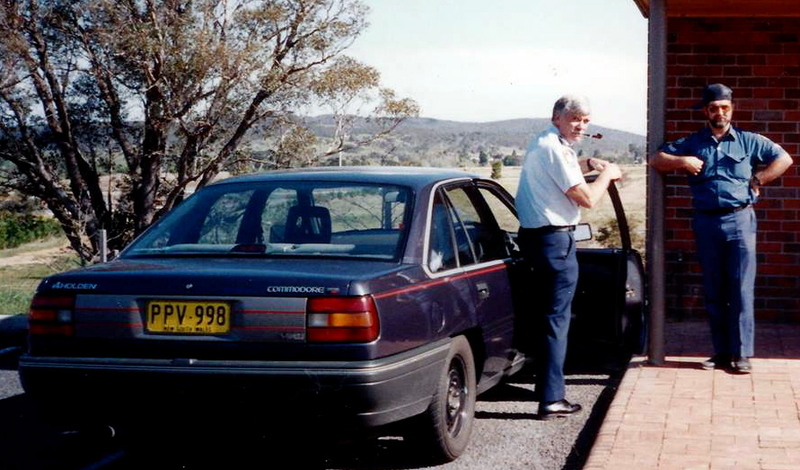 At the time of his death he was attached to the School of Traffic and Mobile Policing, New South Wales Police Academy, Goulburn. 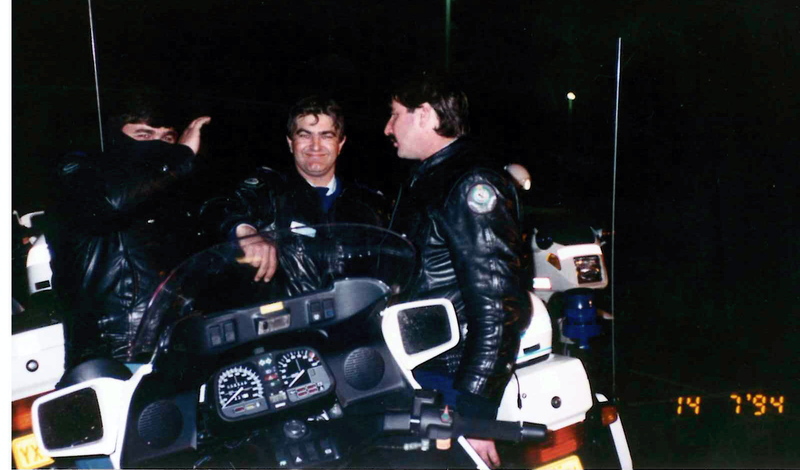 I had the pleasure of knowing Dallas from the Police Academy, where as an Ambulance Intensive Care Paramedic I taught for both the Police (Weapons Training Unit) & Ambulance Service there. Unfortunately the only photo I have of him is when he put my sons onto his m/cycle. Unfortunately it is a small photo and very old. I wish you and Nic a very happy and long life together. Please let her know that there are many people who have been touched by interaction with Dallas, and he is remembered fondly and with deep respect. 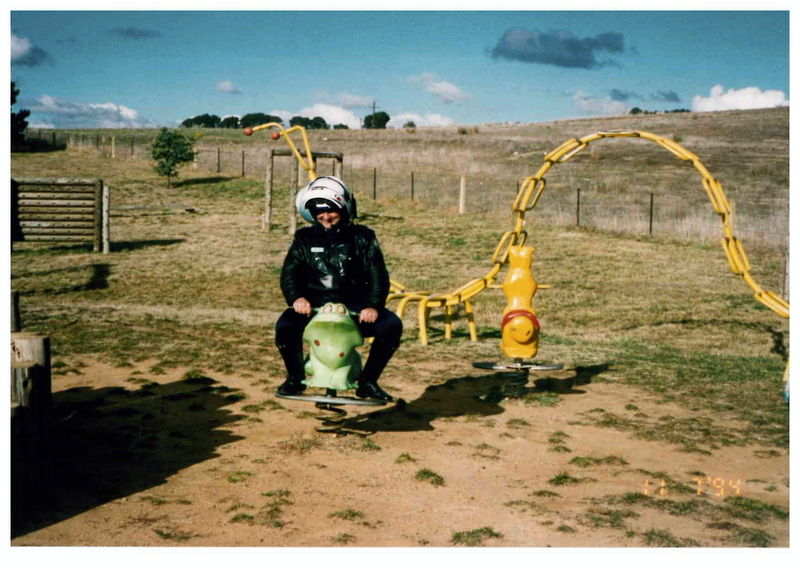 I am wondering if STAMP(School of Traffic and Mobile Policing) at Goulburn Academy may have some photo’s for you Peter? Thanks to whomever posted the photos, that’s Dallas the same as I knew him. I will also Post this up on the Thin Blue Line Policing forum – which is attached to this website and also some of the NSW Police FB pages in anticipation of a response. I know a lot of the lads knew Dallas and someone just might have what you seek.